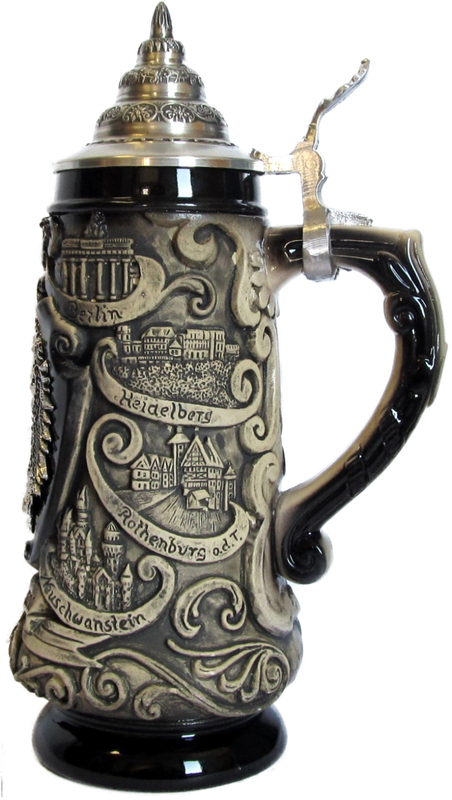 This authentic German beer stein produced by King features the German Coat of Arms in pewter cast. The relief is rustic blackened on a black background. 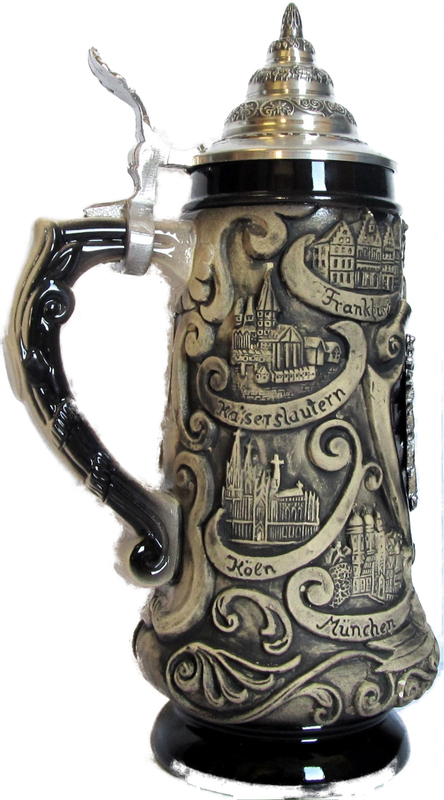 The impressive pewter medallion is sourrounded by skylines of famous German locations. Among the skylines featured are Kaiserslautern, Koeln (Cologne) Muenchen (Munich), Neuschwanstein (Newschwanstein), Rothenburg a.d.T. and Heidelberg. The stein features a pointed lead free pewter lid and comes in a 0.5 L volume.